The Porsche Boxster comes powered by a choice of flat-six engines mounted mid-ship. 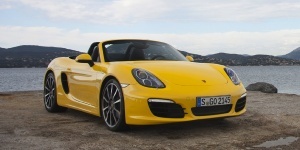 The Boxster offers excellent handling and great entertainment for up to two passengers. 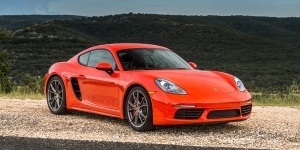 The Porsche Cayman comes powered by a choice of flat-four turbo engines mounted mid-ship and offers excellent handling and great entertainment for up to two passengers. 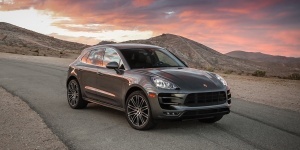 Powered by a choice of V6 turbo engines with up to 400 hp, the Porsche Macan offers space for five in a compact interior and handles exceptionally well. AWD is standard. 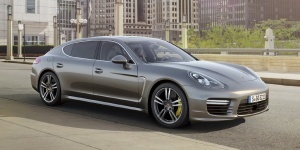 Get the best price for the Porsche of your choice from a dealer in your area. Request a price quote now.